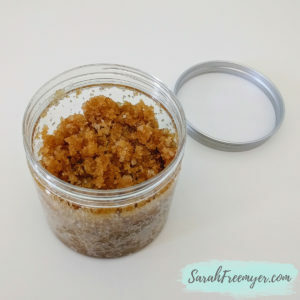 Salt scrubs and sugar scrubs are a summer-time staple to keep your skin healthy, glowing and hydrated! 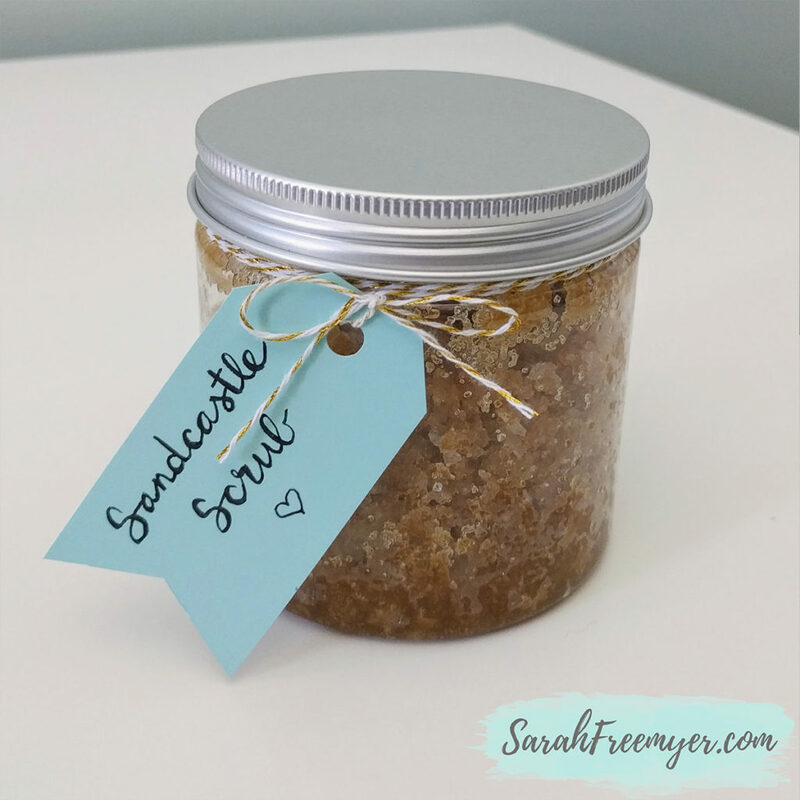 I created this easy and inexpensive body scrub to keep my skin soft and smooth. The color and consistency of this scrub reminds me of making a sandcastle. The coconut vanilla scent makes me think of sunbathing on the beach. 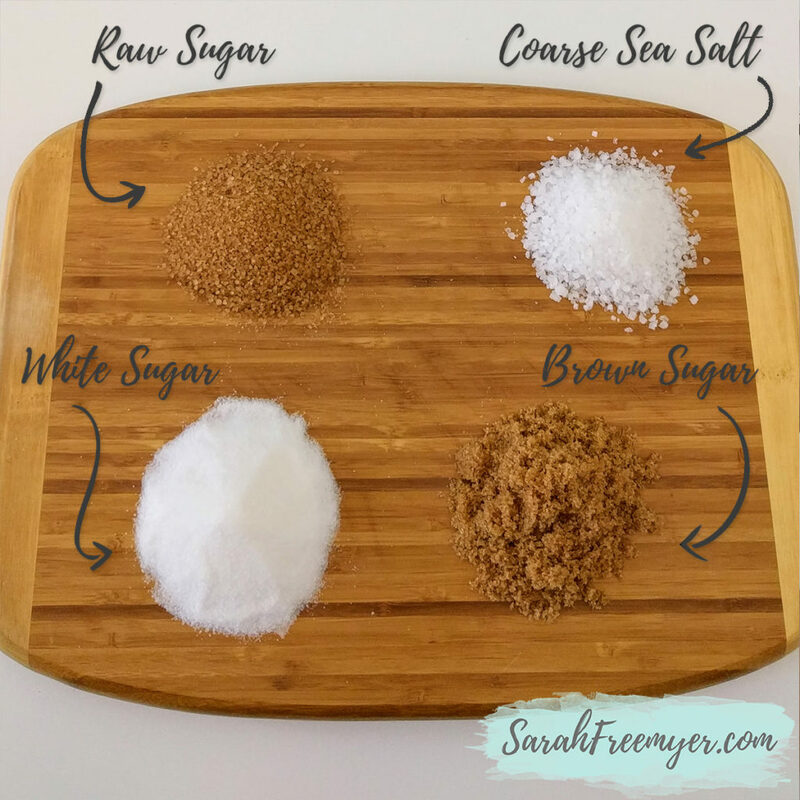 Sugar is a natural humectant, which means that it draws moisture from the environment into the skin. Sugar also contains glycolic acid which encourages cell regeneration. 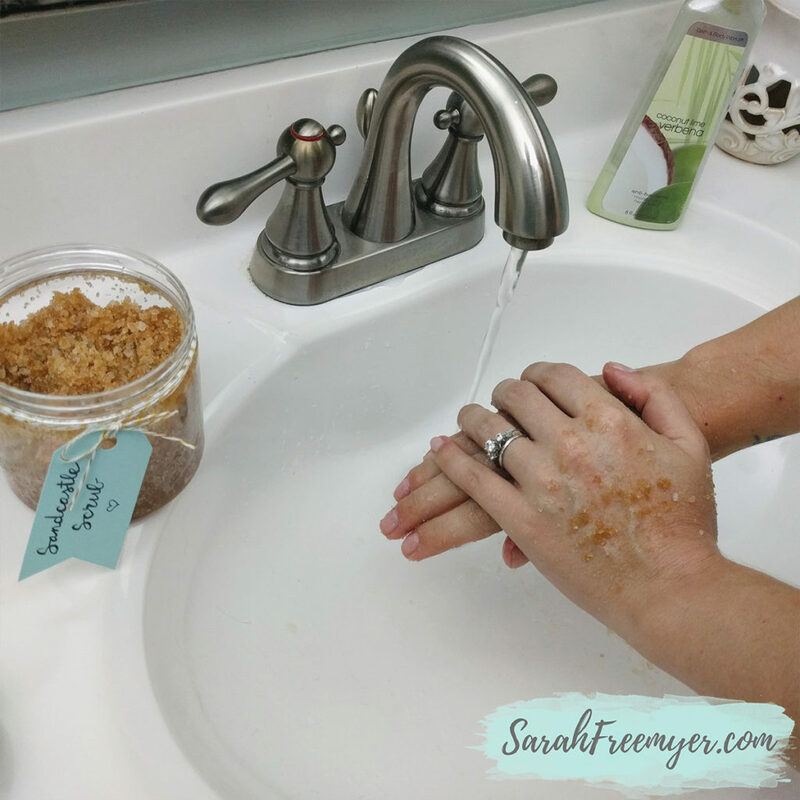 Sea salt is a natural purifier that removes toxins from your skin. It tightens and improves skin texture. 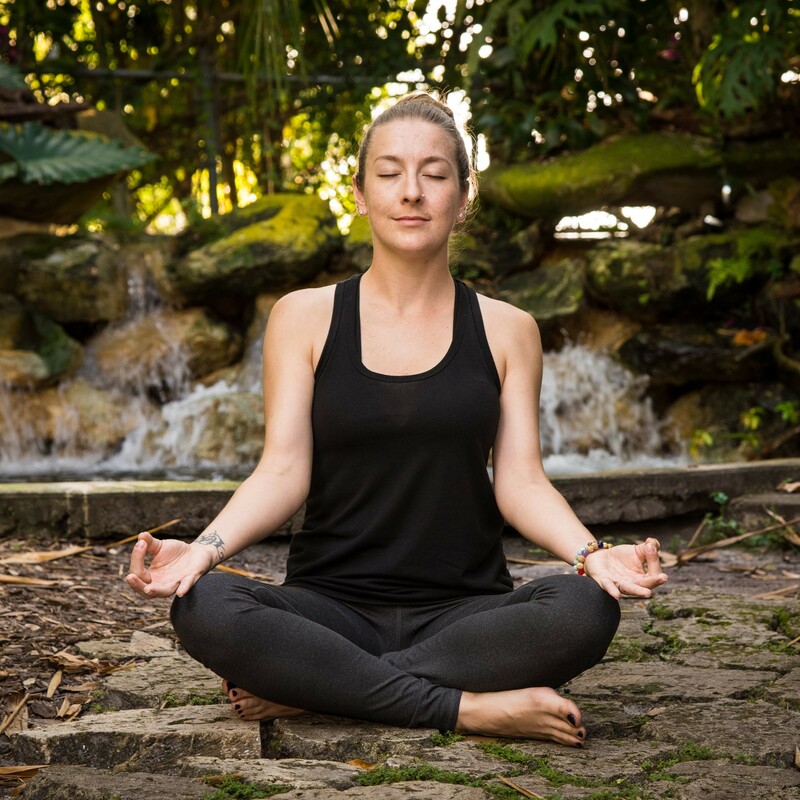 Salt also has trace minerals which help to promote circulation, reduce the inflammatory response, and act as a detoxifying agent and relaxes your muscles. 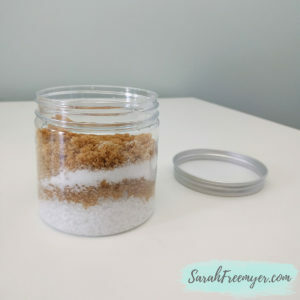 The mix of different sized sugar and salt granules will make a great hand and body scrub. 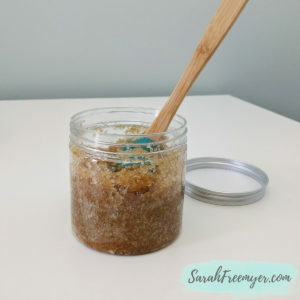 However, the raw sugar and coarse sea salt may make this scrub too rough to use on your face. 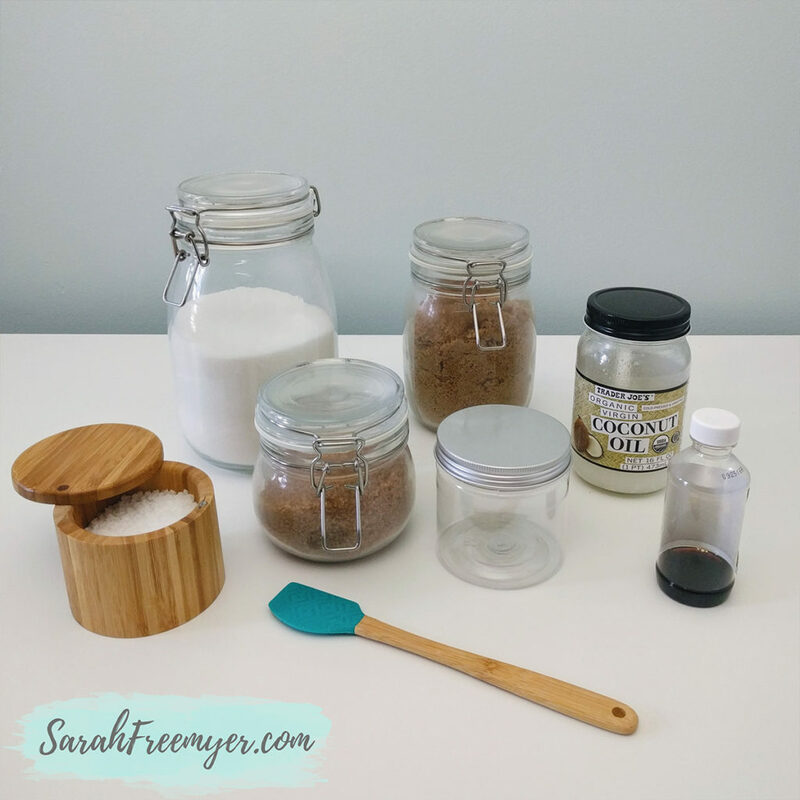 Measure the salt and sugars and put them in your plastic container. Add the coconut oil and vanilla extract. Stir everything together until it is evenly mixed. You can choose to add more coconut oil to reach your desired consistency. I like my scrub to be a little more dry, rather than soupy. 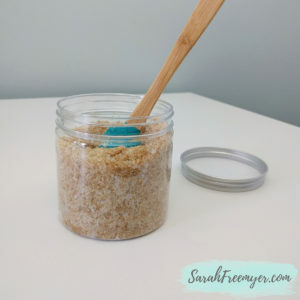 Exfoliating using this DIY body scrub will provide much-needed hydration. When you’re in the shower, just apply a small amount with your hands and gently massage it around on your skin. When you’re done, rinse and pat dry. You could also keep some near your sink for some extra pampering for your hands and your guests too. Enjoy the feeling of your soft skin! Keep it for yourself or make some extra to give as a gift. Enjoy a piece of summer-time all year round!